Personally I’m not a huge fan of blog posts that mostly consist of a verse from the Bible. Not that I have anything against the Bible, mind you. I just don’t like seeing a post that consists of two lines of actual writing followed by a massive chunk of text in italics. Yet I can’t begrudge others for making posts like this because sometimes something in the Bible really stands out to a writer. I spent some time trying to come up with a different blog post today but this verse seems to be the fixation of my mind. So I thought I’d paraphrase it for you at least, and put a link to the original at the bottom. The is a list of instructions on how a Christian should behave, given by the missionary Paul to the Christians of Rome. Rome was the largest and most cosmopolitan city in the known world at the time. For those of us who claim the name of Christ and live among a mostly unbelieving community this list should come in handy. Those who do not believe and wish to spot the illusive “true Christian” in its natural habitat may find the list handy as well. 1. Their love is genuine. 2. They hate evil things and will not let go of good things. 3. The love each other no matter what. 4. They seem to compete to give each other more honor than they recieve. 5. Many specimens have an intense passion for serving their God. 6. They celebrate the good times, are patient in the bad times, and pray all the time. 7. They help everyone with their money and time, even complete strangers. 8. They don’t badmouth anyone, even those who hurt and take advantage of them; instead they treat them like friends! 9. They know how to party when someone celebrates; they also know how to cry with someone in pain. 10. They don’t claim to be better than anyone and they don’t seem to know who the “wrong crowd” to hang out with is. 11. They don’t claim to be wiser than they know they are. 12. When someone hurts them they don’t try to hurt them back. 13. Some are pacifists and some aren’t: but either way they try to live as peaceably as they can. 14. They don’t try to get revenge on anyone: instead they help out their enemies when they’re in need. 15. They never let bad things keep them from being good. Though I have reviewed books in the past this is the first time I’ve had the pleasure of reviewing something that is actually new on the market. What on Earth Do We Know About Heaven? is a recently published book by theologian Dr. Randal Rauser (to learn more about him you can check out his website, particularly the blog). I was able to snag a copy with the express purpose of writing about it on the blog. 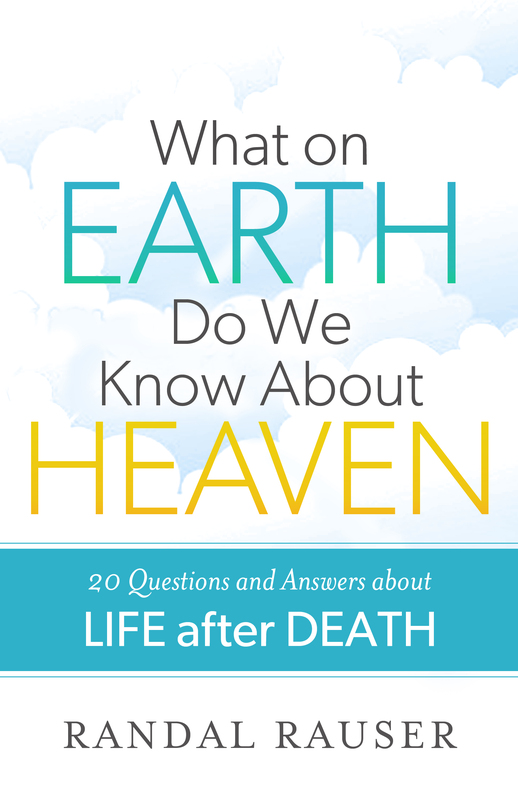 The book is nonfiction and consists of 20 questions about the afterlife with a chapter to address each. 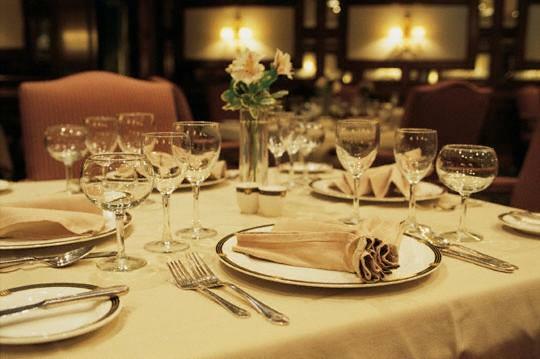 It’s a useful format that allows for easy reference of different ideas and arguments. It also would theoretically allow for a reader to skip chapters or jump ahead to a question that interests them. I can’t say that I would necessarily recommend this method of reading. Though Rauser does his best to keep each chapter self contained there are important concepts that the first few chapters address that the other chapters rely heavily on. I’d recommend reading the book all the way through on your first read. Randal’s book promotes what he refers to as a “this-world” approach to heaven, as opposed to a more generally known “other-world” approach. The general idea is that heaven will not be an otherworldly cloud filled dimension where earthly things have passed away, but rather that heaven will be this universe perfected and transformed. This is the second nonfiction book that I’ve had the pleasure of reading that is devoted to explaining and promoting the “this-world” approach. The other is Randy Alcorn’s Heaven, an excellent book that I couldn’t recommend more. Naturally I was pleased to find a book by a separate author on the same theme; on the other hand the books are very different in style. As I read through What on Earth the first impression that struck me was that it lacked sufficient references to scripture to support its assertions. In Heaven you can hardly travel a single page without encountering blocks of reference verses neatly stacked between parenthesis: in What on Earth you can find whole chapters with only one or two. However on further reflection I realized that this was an unfair comparison. Heaven is a weighty tome that clocks at 560 pages and two pounds! When writing Heaven Alcorn wanted to create an exhaustive guide to the scriptural view of the afterlife, moving slowly and backing up every statement with argument and reference to scripture. What on Earth, on the other hand, is a slim volume of only 176 pages. It’s easy to pick up and put down and puts readability ahead of being exhaustive. The book is filled with metaphors, thought experiments, and vivid illustrations referencing everything from The Time Machine to Blockbuster Video. It’s an entirely different beast from Heaven. With that in mind I have to say that it fulfills its purpose well. It has enough references to scripture to create a good framework and builds from there. It communicates effectively with little obfuscation, something I must applaud as someone who appreciates good writing. The question is whether its ideas are as just as good. As I was reading I experienced an odd roller coaster of opinion about the book in general. I’d read a chapter and be quite pleased with how it was put together; then I’d read another and feel that the author had stepped a bit too far. My main issue was that some of the chapters by their very nature were much more speculative than others. In one Rauser makes an argument that we will age in heaven, and then provides an example of how that might look. In another Rauser details the difficult question of what will happen to predators, and again provides a possible example of what might be. For some reason both cases left a bad taste in my mouth; yet I couldn’t say why exactly. It took me several days to realize what was happening. When I was a child I went to a church that didn’t talk overly much about heaven. We all knew that heaven was where you wanted to go, a place of incomprehensible joy. Yet somehow much of the emphasis was placed on the world “incomprehensible.” There seemed to be an unwritten rule that heaven was to be anticipated but not speculated about. I quickly learned that if someone had questions or concerns about heaven the correct response was to say “Well I don’t know what it’s going to be like exactly, but I know it will be a million times better than the best thing here.” I’m not sure why this was. I think people were afraid of saying the wrong things about heaven in the same way that a Christian might feel cautious about saying the wrong things about God. Nobody wanted to predict about something where they were so likely to be incorrect. I can’t speak for others but I think I avoided the subject because I didn’t want to be disappointed. I didn’t want to go through life saying “I can’t wait to have X in heaven!” and then discover after death that heaven is lacking in X. Whatever the reason people didn’t speculate in general about heaven. Since then I have come to have some very concrete beliefs about what heaven will look like. I’ve learned that it’s okay to speculate, because even if you’re wrong you won’t be disappointed. If you can’t find X in heaven it’s because there’s something far better than X. Today I believe that hopeful speculation about heaven is one of the healthiest things a Christian can do. Yet I realized that the reason Rauser’s speculations left a bad taste in my mouth was because of that childhood attitude. So what if I don’t completely agree with some of Rauser’s ideas? Instead of feeling that Rauser has failed I should take it as an opportunity to try and discover why I disagree with him, and what I believe instead. This is a book for starting discussions and getting your brain thinking about the concepts of eternity. Every chapter is an opportunity for discussion and friendly debate about heaven. Because of this I would highly recommend the book as being suitable for a small group to go over. Regardless of whether you agree with Rauser about some of the particulars it’s sure to get people talking about heaven; and we all need to talk more about heaven. Overall I have to say that What on Earth is a well crafted little book, good for reading by yourself or with others. At the very least it will get your mental wheels turning. At most it might open you to ideas of joy and glory that you have never considered before. When I graduated from college I expected that finding a job would be simple. Yes, the economy is still in a slump. Yes, I’m just one of thousands of college graduates with a degree in hand but no substantial experience. Yes, my ideal job would be helping to make movies which is one of the hardest industries to get into without substantial social capital (that is, knowing a guy). But I didn’t worry about all that. I had worked hard to get my degree and I knew that the perfect job would show up in short order. I trusted that God would take care of everything. All I wanted was to serve him with my work. I felt confident that he would take care of the rest, despite all the obstacles. Instead I spent the next four months unemployed with no prospects. Application after application disappeared into the system without a word of feedback. Jobs I was extremely interested in sent polite email rejections. With each week I became a little more desperate. At first I only sent applications to TV stations and studios. Then I started applying to well paying white collar positions. Then I started applying to minimum wage jobs whose only requirement was a high school diploma. Nothing worked out. I couldn’t even get to the interview stage. As I’ve mentioned before, I got a little downhearted. I felt awful. I was afraid of the future. I was afraid of not being able to provide for my wife. I was afraid that one of us would get seriously ill and there would be no money or insurance to pay for treatment. I felt like I was a failure. More than that, my trust in God had been shaken a bit. I had absolute faith that God would make everything work out perfectly. It didn’t. Naturally I was confused. Everybody in this world will suffer, even Christians. But suffering itself is not evil. It seems like a pretty depressing and confusing message. But it helped a great deal. Everyone will suffer to some extent. My own suffering pales in comparison to others. Yet at the same time it is real. The book affirmed my feelings. It said that it was alright to suffer. It is okay to go through trails and pain. The question is how we will react to that pain. Some people react by becoming bitter or paranoid. Others become detached from the world. For me, I reacted with a varnish of optimism covering a well of pain. I did my best to remember that God was watching out for me. That everything would turn out okay. The book reminded me that often times things go from bad to worse. Great Christians who were far closer to God than myself have lived lives of one tragedy happening after another. I have no guarantee that I will find a job. I have no guarantees that I will not suffer from cancer, that my children wont die at a young age, or that I will die peacefully in my sleep. The only guarantee I have is that everything will come out right in the very end, after death, and that God will not abandon me in my suffering. He will be there. He has many things to teach me that can only be learned through pain. Will I accept those teachings? Or will I let suffering turn me bitter? When I was young I heard a story with a particular message. The moral was that we should thank God not only for the beauty of the rose but for it’s thorns as well; that we should thank God for bad times just as we thank him for good ones. I never accepted this teaching. How can we thank God for bad things? I can understand accepting bad things. I can understand living with them and learning from them. But I struggled with understanding how I can thank God for bad things. I still struggle with it. But I’m starting to understand. I still trust that God has a plan for me. I no longer trust that I have any idea of what that plan might look like.